ZoomBrowser EX 6.3.1 - Take full advantages of Canon camera. Hijackthis 2.0.2 - An advanced free spyware and malware remover. Opera - A web browser provides some advantages over others from Mozilla or Microsoft. Windows 7 - The easiest, fastest, and most engaging version of Windows yet. FrostWire - A free peer-to-peer file sharing program for the Gnutella and BitTorrent protocols. Vuze for Mac - A cool Mac media player to play high-res digital videos on Mac OS. IrfanView - A very fast, small, compact and innovative FREEWARE graphic viewer. GOM Media Player - Free Multimedia player allows you to play most media files: AVI, DAT, MPEG... Jalbum for Mac OS X 8.5.1 - A archive manager reduces email attachment's size. iMesh 9.1 - Provides a music search, download and file sharing features. Avast Professional Edition - Protects system & data against computer viruses, spyware & rootkits. Easy File Encryption 1.0.1.6 - A powerful file encryption for windows. Netman 5.59 - Remote control software for remote working. 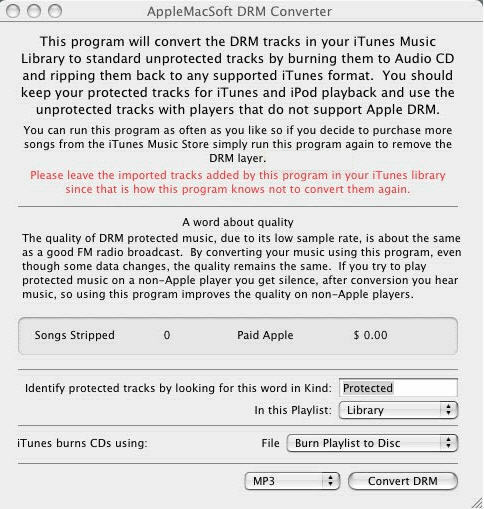 DRM Converter 3.9.4 - Convert DRM to other common video. VirtualBox - A powerful x86 virtualization product for enterprise as well as home use. Sothink HD Movie Maker 1.2.90818 - Convert and burn videos to Blu-ray Discs/DVD . BitComet - A BitTorrent/HTTP/FTP download client can accelerate the downloading. Total Video Player 1.31 - Total Video Player - free tool to play media. PrimoPDF - A freeware for creating 100% industry-standard PDF & converting files to PDF. Glary Utilities - A registry & disk cleaning, privacy protection & performance accelerator. PC-Time Manager 1.2.2 - Parental Control Software for Windows. PhotoScape - A fun, easy & free photo editing software enables you to fix and enhance photos. Easy Audio RCR 2.1 - Rip Audio CD, Convert Music Format, Record. QuarkXPress for Mac - A powerful and very popular page layout program for Mac OS X.
Picasa for Mac - An application for organizing and editing digital photos on Mac OS X by Google. Little Fighter 2 2.0a - A popular freeware fighting game for Windows. OsiriX for Mac - Image processing & viewer dedicated to DICOM images produced. Avant Browser - A multi-window browser with Rss Reader, AutoFills, Online Profile Storage, Popup... Vienna for Mac - A free open source RSS/Atom newsreader for Mac OS X operating system. ComputerTime 2.0 - Set time limits and monitor computer use. Excellent DVD image capture and DVD image creator software with powerful functions to capture pictures from DVD-Video and DVD folder. It provides two modes as batch capture pictures and single snapshot from DVD. 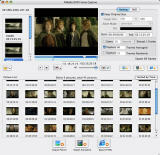 Convert all sorts of video formats to PSP video on Mac OS X. This video to PSP converter has various useful features such as batch conversion, setting video brightness, contrast, saturation, video file trim, video crop, and joining multiple files into one file. Sudoku Designer is the world’s new favorite game and this one offers millions of classic Sudoku puzzles and billion of variations including color, symbol and alphabet puzzles, even word search Sudoku puzzles all made in seconds from a key word you identify. A professional XML sitemap generator program. With this program you can automatically generate XML sitemaps for your websites, keep up-to-date, edit them, upload to web server and submit to all search engines that support XML sitemaps. Convert DVD to iPod Video in 2 clicks, as well as Tivo2Go, DivX and other other popular video files to iPod. Watch TVs, movies, home videos on the go - a new lifestyle to experience. DVD-Cloner IV is real 1:1 copy, entirely free from such restrictions as CSS and region code. Meanwhile you can copy your favorite chapters, subtitle, and audio to save disk space. An original scientific mailer that allows to user to create scientific mail messages with complex equations. The scientific equation editor used in the scientific software allows you to create complex letter including complex scientific equations at almost the same speed as typing standard text. amazingly versatile setup builder that proves to be very professional and dynamic in today’s growing market as it satisfies the day by day increasing demands of the users. It converts executable file from window installer MSI file format in just a single click and requires no special/technical skills to operate. AirStrike 2 is finally here. Rough, cruel and intense helicopter 3D action game that makes you fly and fight over desert, water and industrial areas. 100+ land, air and water enemy units will make your life worse then hell. If you pass it, tell us how you achieve that. You can convert AVI (DivX, XviD, MPEG-4, YUV...), MPEG1 MPEG2 WMV ASF video to 3GP/3G2 video files and play them in your 3GP/3GP mobile phone. AnvSoft you can convert AVI(DivX, XviD, MPEG-4, YUV...), MPEG1 MPEG2 WMV ASF video to MP4 video files and play them in your MP4 player. you can convert all popular video formats to iPod (mp4) format. Additional, regardless you are computer rookie or expert. Naevius GVI Converter is a powerful Google video converter program that allows you to convert Google video files GVI to AVI format. With this software you can prevent Spyware hijackers. You'll feel confident that nobody is watching your web surfing and nobody could know your IP address. Thus, your shopping and banking on line will be safe, and you can download whatever you like. Help you to convert your vinyl LP records, audio tapes or cassettes onto CD or to wav or mp3 files. It is designed specifically with records and cassettes in mind and has been developed to make the conversion process as easy and intuitive as possible. SWF Media Browser is a powerful tool designed to search, manage, view and play Flash media files in your local system. It has a fully integrated workspace that permits you to work efficiently and manage your media files with ease. Recipe Minder can hold thousands of recipes and sort them in menus and categories, even by days. Plan your meals using its calendar function. Recipe Minder also can record nutritional information into a daily diary.